Seismic compliance refers to the use of approved systems and designs that meet the seismic design requirements of a building project to provide life safety to occupants and maintain building function during and after an earthquake. Non-structural components often represent a high percentage of a project’s capital investment. Failure of these components in an earthquake has the potential to cause harm, block egress and impede rescue efforts, and can disrupt the building’s function. The basic objectives of seismic design for non-structural components are to provide life safety, minimise property loss and prevent functional loss. By analysing these criteria for a construction project in conjunction with Australian standards, the seismic force is established, and from that the design requirements for the interior walls and suspended ceiling(s). This is typically done by the project’s structural engineer, but may require the involvement of qualified engineers more familiar with seismic design. USG Boral commonly works with design and engineering professionals to establish project specific, cost effective seismic solutions for wall and ceilings. They have developed industry-leading Seismic Wall and Ceiling Systems that cover their Steel Stud Drywall Framing System as well as DUO and KEY-LOCK Ceiling Systems. Every component has been tried and tested at Rondo and at an independent laboratory in New Zealand by their Seismic research team. Their KEY-LOCK® Seismic Ceiling System uses Top Cross Rail and Furring Channel as the main grid components, along with accessories such as our new Heavy Duty Wall Track. Depending on the room size and seismic loads, they will design either a perimeter fixing or plenum bracing option for your project. Seismic forces are transferred to either perimeter restraints or plenum braces, which is achieved using their two new Seismic Joiners for Top Cross Rail and Furring Channel. 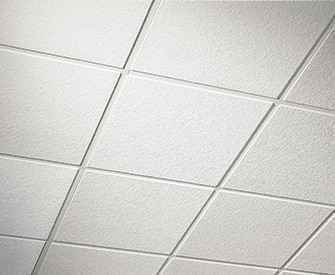 For large open areas, the KEY-LOCK Seismic Ceiling System is braced, with sliding connections to all perimeters. This allows seismic loads to be transferred from the ceiling and through the braces, to the supporting structure. Their DUO® Seismic Ceiling System uses DUO1 Main Tee and Cross Tees as the main grid components, along with complementary accessories.